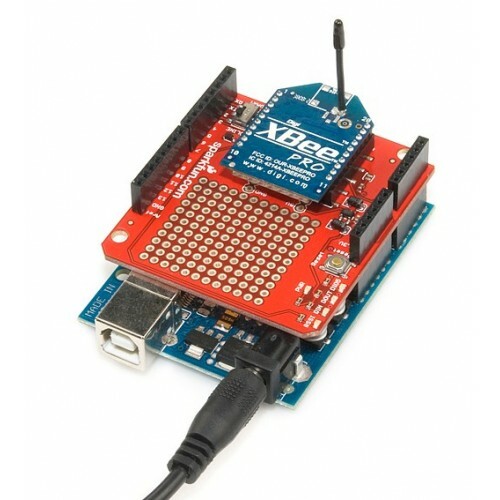 Xbee radios are an awesome way to add wireless capability to your Arduino project and now it's even easier with the XBee Shield. 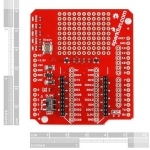 The shield form-factor mates directly with any dev board that has an Arduino standard footprint and equips it with wireless communication capabilities using the popular XBee module. 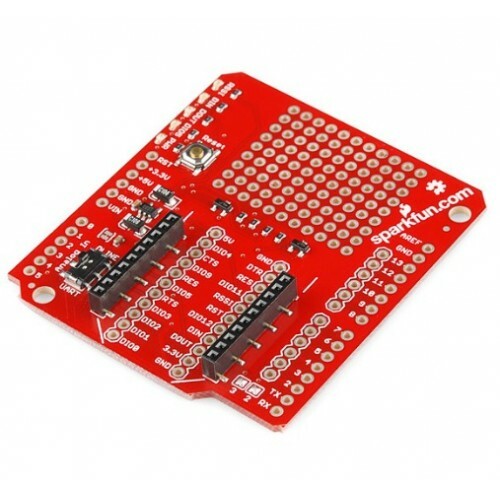 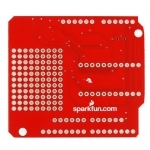 This unit works with all XBee modules including the Series 1 and 2, standard and Pro versions. 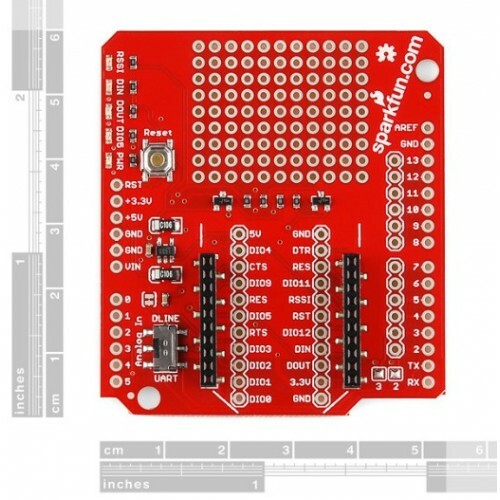 The board also includes LEDs to indicate power and activity on DIN, DOUT, RSSI, and DIO5 pins of the XBee. 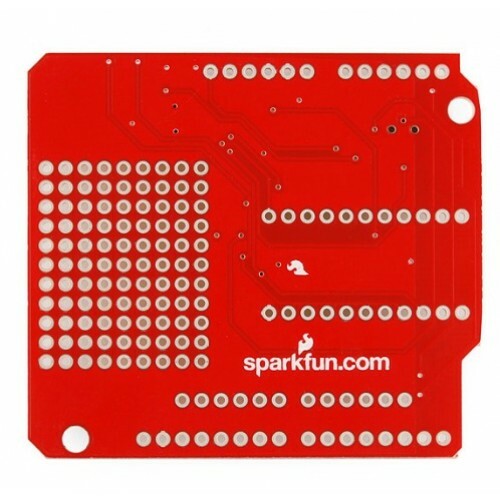 The Arduino's reset button is brought out on the shield, and a 9x11 grid of 0.1" holes are available for prototyping. The shield does not come with headers installed; we recommend the Stackable header kit. The XBee module is also not included.